This was my solo entry for PyWeek 17 (September 2013, theme: Moon). The game was completely developed (including the art and script) during one week and got third place in the final ranking. 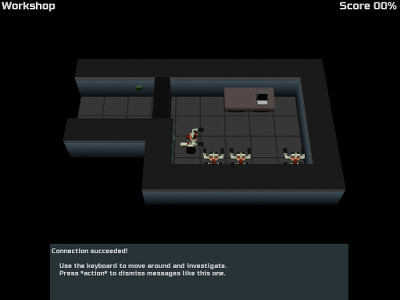 It’s a 3D point-and-click type game, although there’s no clicking because the character is controlled using the keyboard. You can watch a video of the intro (no spoilers). The game requires OpenGL and 800x600 resolution (windowed mode). Lunar is free software (as in freedom and also as in free beer) under GPL version 3 (or later). The source code version requires Python 2.6 or later (tested with 2.7), AVBin (version 11 recommended) and optionally OpenAL. Should work in Windows, Linux and Mac. The Windows binary bundle should work without installing anything else, just uncompress the ZIP file and run LUNAR.EXE. Debian/Ubuntu packages will install the game in /opt/lunar and will add a launch icon (Lunar) to your games section.